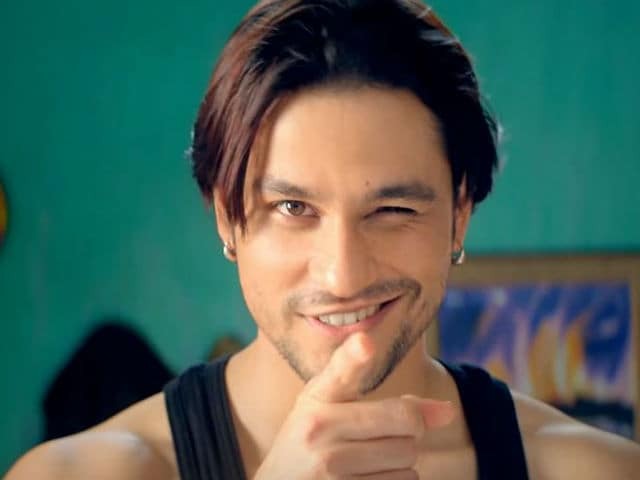 Guddu Ki Gun is the tale of Govardhan aka Guddu (Kunal Khemu), a Bihari settled in Kolkata. He is a door-to-door washing powder salesman, whose sales pitch is Ek washing powder ke saath Guddu free. With dialogues packed with rhymes, mispronunciations and double entendres, the film is a delightful adult comedy that keeps you in splits by the minute. The characteristic one-liners are crisp, tempered and never sound crass. If not funny, it at least elicits a chuckle. The script written by the director duo, takes the fantasy route to deliver fables and life's lessons meaningfully. While sharing a room with his close friend Ladoo (Sumeet Vyas), Guddu leads an amorous lifestyle in Kolkata. His travails begin when he ditches one of his girlfriends, Bholi (Aparna Sharma). Furious for forsaking his granddaughter, Bholi's grandfather casts a black magic spell on him. The only way Guddu can get rid of the curse is to find true love and by staying faithful to her. This is his journey, a rather painful one for him, but hilarious for the audience. The plot is skillfully crafted. Every character is quirky and well-etched. And every actor delivers a notable performance, albeit a bit over the top. With an author-backed role, this film is Kunal Khemu's canvas, and he delivers gloriously. A natural actor, he effortless slips into Guddu's shoes, fluently speaking Hindi in the Bihari lingo. You laugh at him and with him, when he clowns around. You do not feel sorry for him when he is cursed. In fact, you patiently wait to see, if he is actually going to change as a person. And he wins your heart. Sumeet Vyas ably holds his stead opposite Kunal. They share an excellent chemistry and their bonhomie is palpable on screen. The leading ladies have fairly miniscule roles. Aparna Sharma as Bholi, and Payel Sarkar as Kaali, are eye candies and they deliver fairly. But it is the other supporting artistes like the South Indian nurse Sarita, Dr Jhatuldas Gupta, the journalist Akhilesh Tripati, his editor Kajal K Das, the mercenary Don Marwari, the antique dealer Antique Moshai and the Turkish businessman along with their wives, who make an interesting set of characters. With moderate production values, the film is shot on actual locales giving the film a realistic feel. Keiko Nakahara's guerrilla cinematography captures the pulse of Kolkata beautifully. Amar Mohile's reverberating music and background score is seamlessly layered with the visuals by editor Cheragh Todiwala, thereby enhancing the viewing experience. Overall, Guddu Ki Gun is a worthwhile watch to unwind.